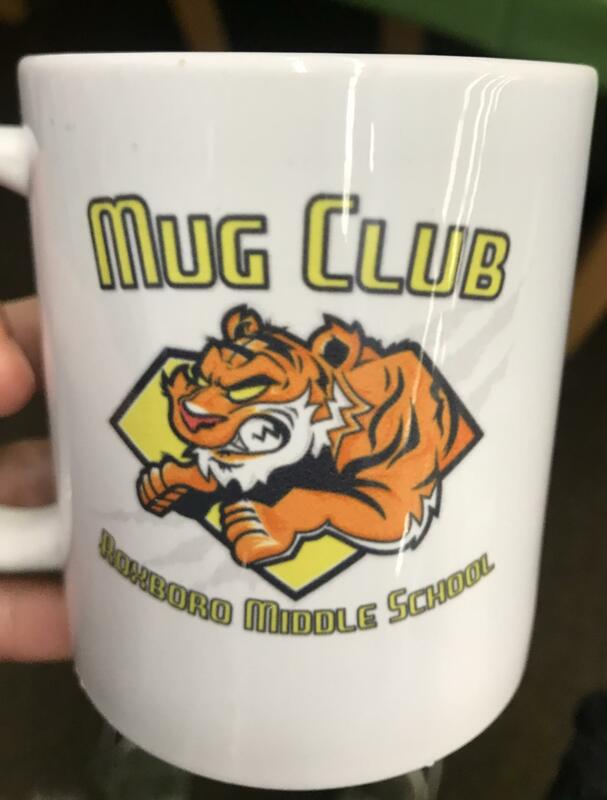 Feb. 11, 2019 -- Heights Middle School has a Mug Club. Which, in case you’re wondering, involves students sitting around a table in the library and drinking out of mugs—apple cider in the fall, hot chocolate in the winter—while talking about books. The monthly book club was started 15 years ago at Roxboro and has been passed down from building librarian to building librarian ever since. This year, Joellen Denk meets with over a dozen eighth graders and 18 seventh graders over lunch for a book discussion. 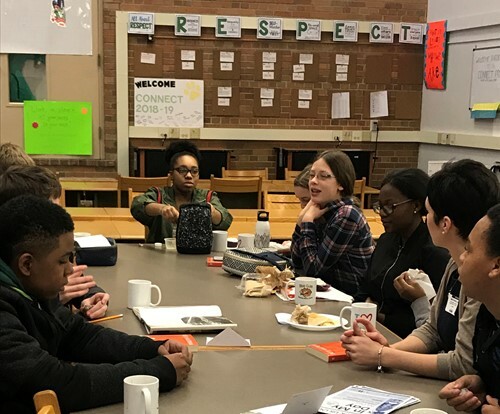 In January, the 8th grade group read Rash, a dystopian novel by Pete Hautman set in the late 20th century in a United States obsessed with safety. The students connected the story to the present day in their lively discussion about whether football should be banned. The 7th graders read Beastkeeper by Cat Hellisen, another book filled with magic and curses and strange lands. But they found ways to keep their conversation grounded in reality, talking openly about how they felt when the main character’s mother abandoned her. Each month, two different students prepare open-ended questions to get the discussion going. Everyone is allowed to share or pass, based on their comfort level. It’s clear that the practice of discussing one’s opinions and emotions is an important part of this Mug Club experience. Teen librarians from the Heights Libraries attend each session as well, building connections with the children they serve in the community. The PTA pays for the snacks. Both groups will next read Brown Girl Dreaming by Jacqueline Woodson, about her childhood as an African American in the 1960s and 70s. The book has been chosen for One District, One Book, when all elementary and middle school students and staff will read the same book.